Did you realize that valuable antiques, stamp and coin collections, works of art, cars, boats, and other personal property can be used to support our work? Your treasures can make suitable charitable gifts today or after your lifetime. The financial benefits of the gift depend on whether we can use the property in a way that is related to our mission. Related use property—e.g., a piece of artwork donated to an art museum—is deductible at the full fair market value. Any other property is deemed nonrelated use property and the deduction would be limited to the lesser of fair market value or your tax basis in the property. A gift in your will or living trust. You can leave a legacy at Georgia State University by donating your treasures to us through your will or living trust. A benefit of donating property through your will is that it gives you flexibility to change your mind at any time. A donor advised fund. Gifts to donor advised funds are not limited to cash and securities. Tangible personal property such as valuable antiques, stamp and coin collections, works of art, cars and boats may be able to be gifted and sold to benefit your fund. Contact Natalie Baker at 404-413-3425 or nbaker15@gsu.edu for additional information on giving a gift of personal property. Legal Name: the Georgia State University Foundation, Inc.
A charitable bequest is one or two sentences in your will or living trust that leave to Georgia State University a specific item, an amount of money, a gift contingent upon certain events or a percentage of your estate. "I give to Georgia State University, a nonprofit corporation currently located at P.O. 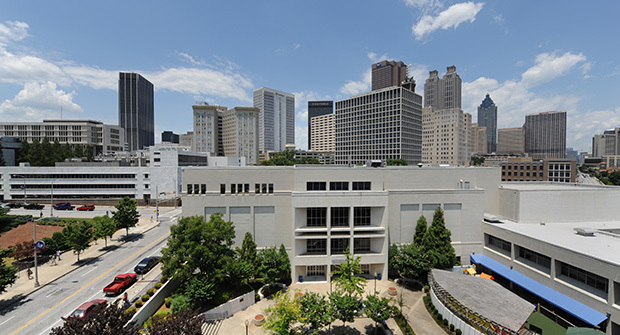 Box 3965 Atlanta, GA 30302-3965, or its successor thereto, ______________ [written amount or percentage of the estate or description of property] for its unrestricted use and purpose."